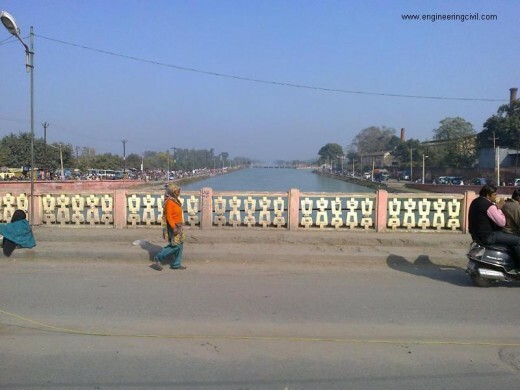 The upper ganges canal is the original ganges canal, which starts at the Bhimgoda Barrage near Har Ki Puri at Haridwar, running at the centre of Roorkee, at right bank of canal is Roorkee city and at left bank is Civil Lines, IIT, Roorkee, Bengal Sappers and Minors, traverses Meerut and Bulandshahr and continues to Nanu in Aligarh district, where it bifurcates into the Kanpur and Etawah branches. 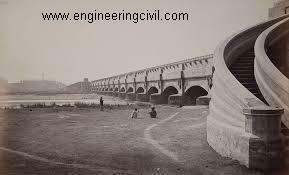 A channel from a barrage at Narora intersects the canal system 48 km downstream from Nanu, and continues past the sengar river and Sersa River past Shikohabad in Mainpuri district to become the Bhognipur branch which was uponed in 1880. 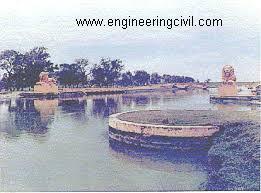 This Bhognipur branch, together with the Kanpur and Etawah branches, is known as the lower ganges canal. The canal is administratively divided into the upper Ganges canal from Haridwar to Aligarh, with some branches, and the lower Ganges Canal which constitutes several branches below Aligarh. Photograph on 31 December 2014. In 1840 Proby Thomas Cautley, English engineer reported on the proposed Ganges canal, for the irrigation of the country between the rivers Ganges. Hindan and Yamuna – then called the Jumna, which was his most important work. Cautley began working towards his dream of building a Ganges canal, and spent six months walking and riding through the area taking each measurement himself. He was confident that a 500-kilometre canal was feasible. There were many obstacles and objections to his project, mostly financial, but Cautley preserved and eventually persuaded the British East India Company to back him. This project was sanctioned in 1841, but the work was not begun till 1843, and even then Cautley found himself hampered in its execution by the opposition of Lord Ellenborough. Digging of the canal began in April 1842. Cautley had to make his own bricks, brick kiln and mortar. Initially, he was opposed by the Hindu priests at Haridwar, who felt that the waters of the holi river Gages would be imprisoned but Cautley pacified them by agreeing to leave a gap in the dam from where the water could flow unchecked. He further appeased the priests by undertaking the repair of bathing ghats along the river. He also inaugurated the dam by the worship of Lord Ganesh, the god of good beginnings. The dam was faced with many complications – among them was the problem of the mountainous streams that threatened the canal. 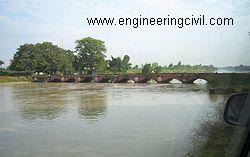 Near Roorkee, the land fell away sharply and Cautley had to build an aqueduct to carry the canal for half a kilometer. As a result, at Roorkee the canal is 25 metres higher than the original river. From 1845 to 1848 he was absent in England owing to ill-health, and on his return to India he was appointed director of canals in the North-Western Provinces. When the canal formally opened on 8 April 1854, its main channel was 348 miles (560 km) long, its branches 306 miles (492 km) long and the various tributaries over 3,000 miles (4,800 km) long, Over 767,000 acres (3,100 km2) in 5,000 villages were irrigated. He was also instrumental in the establish of the Roorkee college, the erstwhile Thomason College of Civil Engineering and now IIT Roorkee. 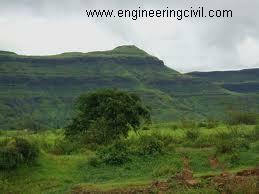 Cautley was actively involved in Dr. Hugh Falconer’s fossil expeditions in the Siwalik Hills. He presented a large collection of fossil mammalia – among them a hippopotamus and crocodile fossils indicating that the area was once a swampland. Other animal remains that he found here included the sabre-toothed tiger, Elephis ganesa – an elephant with a trunk length of about 10 and a half feet, the bones of a fossil ostrich and the remains of giant cranes and tortoises. Labour unrest during the building of canal took place only in the First Division. 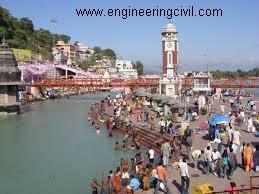 This Division starts at Haridwar, where the canal receive its water from the river Ganga. 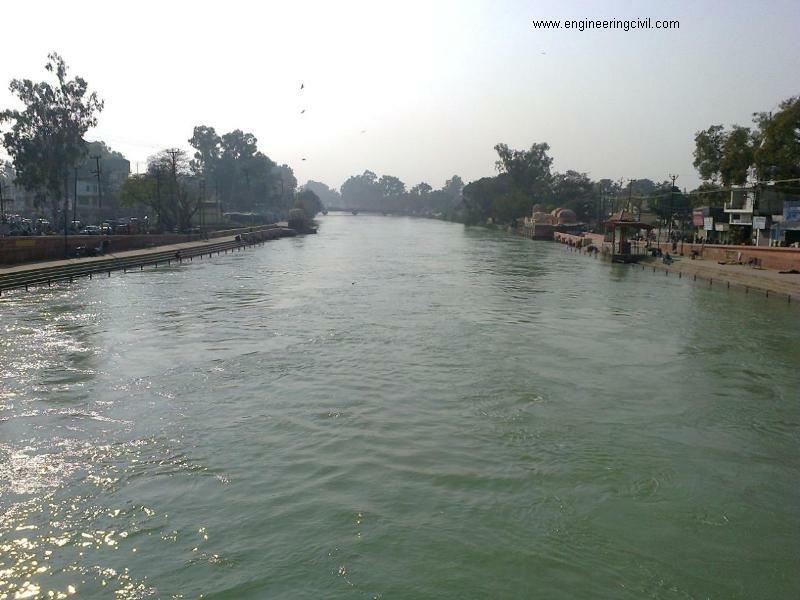 From Haridwar the canal turns south to Roorkee, where the builders established their headquarters. Roorkee was the scene of the strike of 1848. The First Division have two executive engineer assisted by six assistant executive officers, each a salary or 250 – 400 rupees a month plus a marching allowance of 100 rupees at 4 annas per mile and they march an average of 400 miles per month on horse back. Various assistant executive officers commanded an overseer at 65 rupees a month. The salaries of Indians varied between 25 and 45 rupees a month. The salary of cautley was rupees 1000 per month with a small staff. The lower rank Indians get a salary between rupees 4 and 30 per month. The handful of Englishman with their Indian staff had to manage the construction with the help of dozens of Indian contractors, who themselves directly or indirectly hired thousand of Indian workers. The workers in the First Division, including the 600 to 900 brick moulder, the 1,200 to 1,400 brick fires, and hundreds involved in transport on the brick field, were drawn from a vast area stretching 500 kilometers to the west and north, but especially to the east and south east of Roorkee. Cautley wanted to introduce as many labour-saving devices as possible. But the advantages of these changes were not as evident to the labourers as they were to Cautley. The collective protest that arose went through four phases. First, the refusal and absconding of some contractors and their workmetes in September and October, second, two or three work strikes in October, third, several acts of machine breakage between October and March, and fourth, incendiary fires at the end of March, finally followed by conflict with the lime contractors. 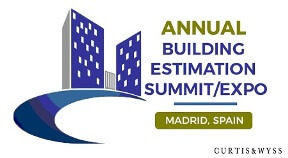 James Finn wrote on February 1849 that it has been very difficult to find moulding contractors. Cautley‘s statements later in his book about” the most intractable and troublesome class of people that were on the works”. Sir Proby Thomas Cautley KCB, Colonel was born on 3 January 1802 in Roydon (now Raydon), a small Suffolk village ten miles south – west of Ipswich. His father, Thomas Cautley, was rector of the parish, and his mother, Catherine, nee Proby. He was the second child born to them, an older brother having died as an infant. Proby Cautley was educated at Chartehous School (1813-18), followed by the East India Company’s Military Seminary at Addiscombe (1818-19). After less than a year there, he was commissioned second lieutenant and dispatched to India, joining the Bengal Presidency artillery in Calcutta. In 1825, he assisted Captain Robert Smith, the engineer in charge of constructing the Eastern Yamuna canal, also called the Doab canal. He was in charge of this canal for 12 years between 1831 and 1843. By 1836, he was Superintendent – General of Canals. 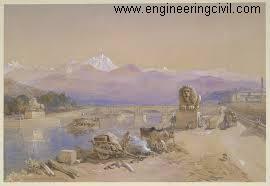 The great work of cautley’s life was the construction of Ganges canal during East India Company rule in India. 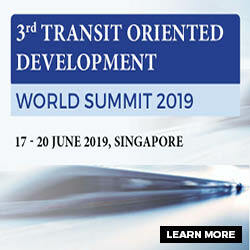 The canal stretches some 350 miles between its headworks at Haridwar and, after bifurcation near Aligarh, its confluences with the Ganges river mainstem in Kanpur and the Yamuna river in Etawah. At the time of completion, it had the greatest discharge of any irrigation canal in the world. The Ganges canal which Cautley build is primarily an irrigation canal. Digging of the canal began in April 1842. 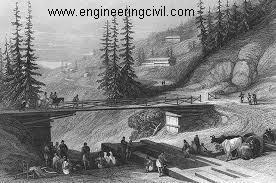 However, the actual construction of the work was not commenced until 1843. The canal made rapid progress under the active encouragement given to Cautley both by the Lieutenant – governor, Mr. Thomason, and by the governor-general, Lord Dalhousie. The canal was opened on 8 April 1854, and in the following month Cautley left India, receiving on the occasion of his embarkation a salute from the guns of Fort William, which had been ordered by the governor-general in special recognition of the high value attached to Cautley’s great work. 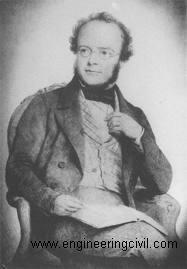 For his merit as an engineer and Palacontologist, Cautley was elected to the Fellowship of the Royal Society in 1846. He was knighted for his services to India and was further honored by his selection in 1858 to serve on the newly formed council of India, which ruled India in place of East India Company after 1857. Cautley died at Sydenham, near London, on 25 January 1871. He was born as Englishman, but died with heart of Indian. 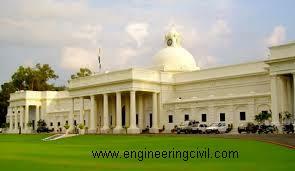 The present Roorkee is a Tehsil of district Haridwar, Uttarakhand state. It is a flower-shaped town spread over a flat terrain with the grand spectacle of Himalayan ranges flanking it in the East and the North-east. The dominant feature of the town is the Upper Ganges Canal which flows north-south and bisects the town. The canal has elevated embankments flanked with huge masonry lions. Roorkee is named after Ruri, the wife of a Rajput chieftain. It was believed to be the capital of a pargana in the time of Mughal Emperor Akbar, and finds a mention as such in Ain-a-Akbari, but there seems to be no evidence of old buildings of that time. When, in 1842 the transformation of Roorkee to its present status began, it was but a tiny hamlet comprising of mud huts. From about the middle of the 18” century Roorkee was included in the estate of the Gujara of Landhaura, a place about 6 kilometers in the East and remained in their possession till Raja Ramdayal died in 1813. The town and seventeen dependent villages were than settled with the old Rajput proprietors, though no inquiry was made into individual rights either on that occasion or at subsequent settlement. In 1838, thirteen villages were settled with the Roorkee zamindars and in two other settlements the villages were awarded a malikana of five percent on the revenue. In the beginning of 19th century, Roorkee was chosen for the location of a cantonment by the then, British, rulers. The event that heralded the transformation of Roorkee-construction of Gages Canal – began in 1842. To look after the maintenance of canal the Canal Workshop and Iron Foundry were established in 1852 in the civil lines on the canal bank. This was followed by the establishment of Civil Engineering School, later known as Thomason College of Civil Engineering. In 1853, Bengal Sappers and Minors were stationed here, which provided a controlling influence during the 1857 uprising. Roorkee was a very modest mud-built hamlet in the 19 century with a population of 5,511 in 1847 (Roorkee population in 2012 was 2,89,478). It was resurrected from this non-descript position by the construction of the Upper Ganges Canal (during 1842-1854) and the concomitant establishment of Thomason College of Civil Engineering (in 1847). A steady growth of the town occurred around these two establishments till 1950. Then Thomason College was raised to the status of a university. This event stimulated the urbanization of Roorkee as several new institutions came to be established in the proximity of the university, notably Central Building Research Institute. Irrigation Research Institute and National Institute of Hydrology. This growth in higher education, unusually rapid for a town by Indian standards, gave boost to the general growth and development of other sectors as well as the town. 1. Upper Ganges Canal. The imperial Gazette of India V. 12 p. 138. 2. Brown, Joyce (1980), A Memoir of Sir Proby Cautley. 3. Colonel Sir Proby T Cautley. Report on the Ganges Canal Works, From the commencement until the opening of the Canal in 1854 (London Smith Elder and Co. 1860). 4. Ganges Canal, Compiled by Sir Proby Thomas Cautley, Publisher C.E.C. Press 1854. 5. The Ganges Canal by Arthur Cotton. 6. Jan Lucassen, The brickmakers’ strikes on the Ganges canal in 1848-1849. 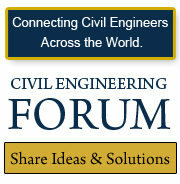 We at engineeringcivil.com are thankful to Sir Kaushal Kishore for submitting this paper to us. 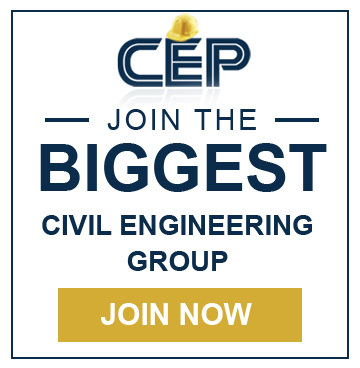 We are hopeful that this will be helpful to many civil engineers. 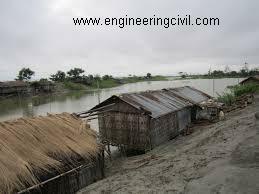 I am a research scholar and workink on the area of lower ganges canal. In doing so I am facing a lot of challenges such as missing primary record of lower ganges canal like DPR of this canal. 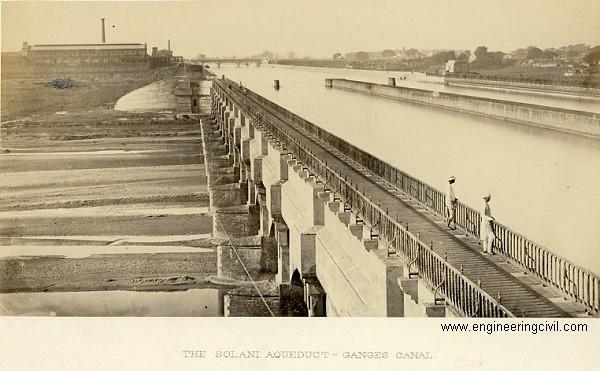 Kindly help me to find the records of this canal.